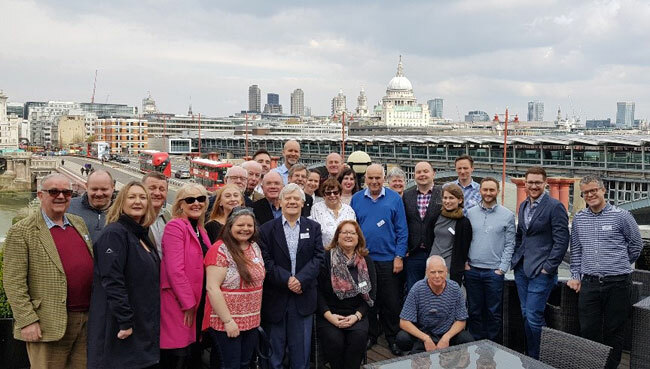 The TCC United Kingdom Chapter held its spring 2019 meeting on Sunday, April 14, returning to Doggett’s Coat and Badge, Southbank, London. There were 29 members in attendance, including familiar faces, members attending their first TCC meeting, and guests in attendance. Our group included UK-based members and members from the Czech Republic, the Netherlands, Turks and Caicos and the United States. Our speaker was Chris Hudson, who spoke about the Art of Travel, covering points of interest from West Africa to the Silk Road in Western China. Chris also discussed the current status of TCC countries and provided more information to the group about the process of how countries are accepted (or removed), prompting the inevitable lively conversations. The UK Chapter’s next meeting will be held in the autumn, generously invited by RAC and TCC member Angus Palmer to return to the RAC. Date options will be announced by the end of April.